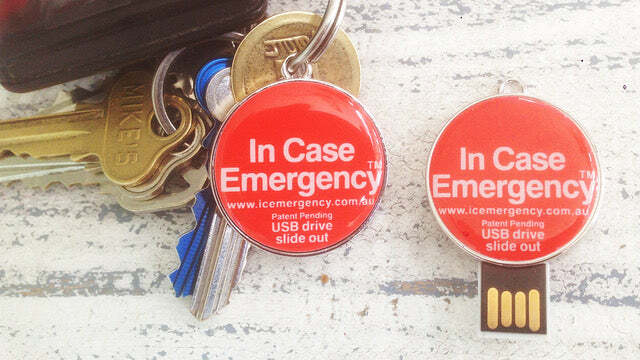 The I.C.Emergency USB comes with a pre loaded text file, you fill out your own details on the usb when you receive it. You can add or delete any information on the pre loaded file, it's your choice, you can also add a photo or put two people's info on it if you swap cars with your partner. 90 Day Unconditional Money Back Guarantee against faulty products. Physical damage to the product by you is not covered. There's nothing on the file that a thief could use if your keys were stolen. In fact, if you lose your keys, the finder can easily call you and arrange their return. Paramedic Alert stickers are available to put on your vehicle windscreen, helmet or phone. Bloody brilliant idea! I have 2 adult kids in different states and this is perfect! Thanking you ! I've ordered 2! Just received mine this week. A cinch to set up. Thank you for a great product! I now know thanks for my ICEmegency sticks I am covered. Great device we all should carry. It may just save your life.